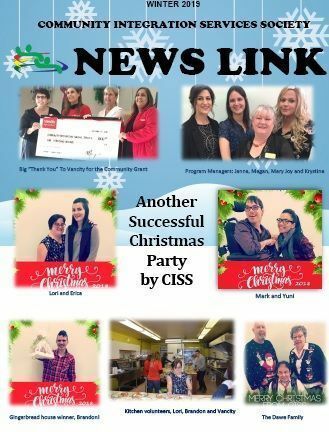 Community Integration Services Society (CISS) is presently eligible to provide services to Adults with Developmental Disabilities in Community Inclusion Programs. It also provides services to a new distinct group of individuals through the Personalized Supports Initiative (PSI) which focuses on adults who have both significant limitations in adaptive functioning and either a diagnosis of Fetal Alcohol Spectrum Disorder (FASD) or an Autism Spectrum Disorder (ASD) in all areas of support. In order to join any of our programs or initiatives, an applicant must meet certain criteria. Interested in participating in community activities. Living with a developmental disability. Able to provide funding for services based on their individual need. An appropriate match of requested services. The Society must have the ability to provide service(s). Community Integration Services Society will not discriminate against any adult applicant on the basis of; race, colour, ancestry, place of origin, political belief, religion, marital status, family status, physical or mental disability, gender or sexual orientation. If you think you meet all the requirements or if you need more information, get in touch with us! If you are interested in having a tour of Community Integration Services Society Community Inclusion Programs please contact us. We’re looking forward to meeting you! Download our form. You can fill it out, and email it back to us, or print it and send it by regular post. Call us at 604-461-2131. You will need to set up an appointment and visit us. We’re looking forward to meeting you! For general enquiries, call our main office, weekdays from 8:30AM to 3:00PM: 604 461 2131. Send us an email to the attention of Shari Mahar. Shari will get in touch with you to set an appointment as soon as possible. You can also contact your local Community Living BC (CLBC) office to arrange for funding or a referral.